February is the shortest month, and also the longest. I finished 10 books in February, which seems like a lot, but a couple of them were poetry and one of those I had been working on for a while. 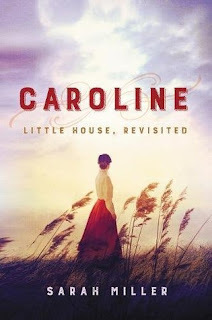 My favorite was Caroline: Little House, Revisited by Sarah Miller which I gave 5 stars on Goodreads. 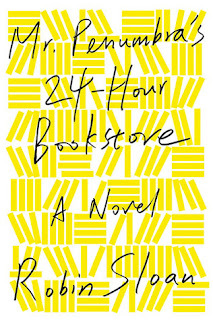 Most disappointing was probably Mr. Penumbra's 24-Hour Bookstore by Robin Sloan, which wasn't bad but also didn't live up to my expectations. Notably, I finished 3 nonfiction books (all memoirs) and two books for my 2019 TBR Pile Challenge. 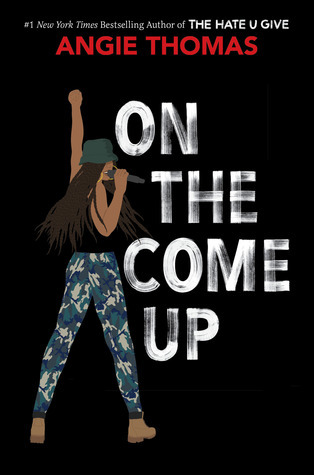 In addition to two audiobooks (Becoming and Educated) I've started some new podcasts. One is called Pantsuit Politics and is hosted by two women, one from the left and one from the right, with the tagline "No shouting. No insults. Plenty of nuance." It absolutely lives up to that promise and I love it. They talk about current events but they are way above partisan politics, looking at events and issues in a larger context, often discussing how they fit into a Constitutional framework or what certain things mean for democracy. They are both very smart and have constructive, productive conversations. In a similar vein, I've begun listening to Conversations with People Who Hate Me. The host has a YouTube channel and gets a lot of trolls, so he began inviting some of these people on a show to have conversations about why they said what they said to him. I've only listened to two episodes so far, and it really just highlights how different people are online than in real life and how we are all more similar to each other than we think. Of course these are only the people who agreed to sit down and talk with them but still, it may restore my faith in humanity just a bit. I watched Russian Doll, which was pretty good although I feel like Natasha Lyonne played the same character that she played in Orange is the New Black. I can't imagine where it will go in the next season, because it feels complete now. I'm not sure if I'll watch more. I'm still watching The Great British Baking Show: Masterclass, and I've also watched a few episodes from the first season with the new hosts. I really miss Mel and Sue and Mary Berry. Prue is pretty ok and I keep reminding myself that we can't all be Mary Berry. It's just sad that Paul Hollywood is the one retained because he's such a sleaze. Still, I like the contestants and the baking. Finally, I've started season 3 of One Day at a Time which I've recently heard may not be renewed for a fourth season. That's so disappointing because it's such a great show! Possibly the most exciting thing I made this month were the Jam-Bellied Scones from Smitten Kitchen Every Day, pictured above. Exciting because they were fairly easy and also delicious. I also made the Sour Cream Coffee Cake from the same book which was pretty heavenly but it's a yeasted cake, which was new for me and fun to try, but of course it took a while. This isn't a coffee cake you get to eat in the morning unless you get up at 3am or so to get it started. Another baking success was the Cranberry Walnut Bread from Bread Illustrated, and I made some more of the Anadama Bread as well. I bought a mandolin and so finally made the Cacio e Pepe Potatoes Anna, also from Smitten Kitchen Every Day, which was delicious and now I want to eat some form of scalloped potatoes every day. My cookbook club at work was meeting at the end of February and cooking dishes from Moosewood Restaurant Favorites, so I ended up trying a bunch of recipes from the book. My favorites were a casserole called Rumbledethumps, a mixture of mashed potatoes, vegetables, and cheese, and the Portuguese White Bean and Kale Soup which I thought would be boring, but the inclusion of sundried tomatoes and both fresh fennel and dried fennel seed made it quite delicious. I also made the Vegan Chocolate Cake which was good, but the Six-Minute Chocolate Cake from Moosewood Cooks at Home is just as good and a little quicker to make. The dish I brought to the meeting was Vegan Spinach-Artichoke Heart Dip, which was good but I didn't love it. It was, however, easy to make ahead and transport. Speaking of work, this month we held a knit-along which went quite well. We had five drop-in knitting sessions to work on the Grain Shawl (or whatever, we weren't super picky) and got a pretty good turnout. We'll be doing more of these! I did not, unfortunately, finish physical therapy. It is scheduled at least a week into March. Sometimes I feel like it's helping and sometimes I don't. Going to these appointments twice a week has honestly felt rather exhausting, plus I use a combination of lunch break and sick time which means I haven't had my full lunch break on a lot of days. 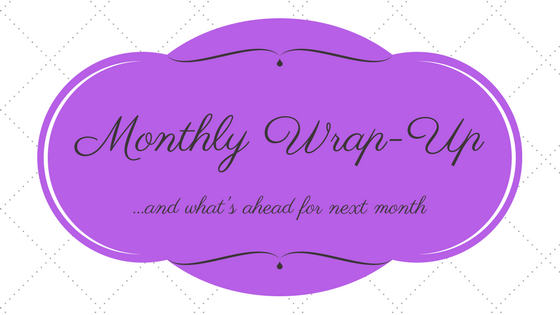 It has made the month feel very full and like I don't have time for things like meditation or exercise. (Physical therapy is definitely exercise, but it's not cardio.) And now I also have to floss my teeth a second time every day, which somehow also feels like a lot? To be honest, I just don't have a ton of energy this time of year so everything feels more difficult. I'm hoping to actually get all my tax stuff together before April, and the fact that this is my only plan for the month (and that I will probably fail) is extremely sad. Again, I am hoping to finish physical therapy. I pretty much have to one way or another because my insurance won't pay beyond the first week of April. Wow, this is all getting very bleak. I am very much looking forward to spring and I hope it comes soon! 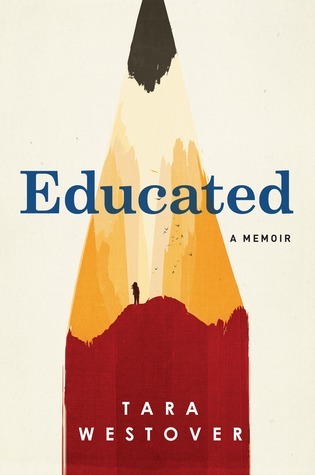 Hey, have you heard about this memoir by a young woman raised in a cult-like survivalist family that didn't allow her to go to school? If you live in the United States, you probably have. I read almost nothing about it so I knew little more than the description I just used. But I was intrigued, especially since its popularity has only increased in the past year since it was released. I decided to try it on audio and was pleasantly surprised to find that it was narrated by Julia Whelan, who also read one of my favorite books by Taylor Jenkins Reid. So Tara Westover grew up in a Morman family in Idaho, and her father was super religious, convinced Armageddon was coming at any moment, and was extremely paranoid and controlling. Her mom basically went along with him although there were times she admitted that she disagreed with him. There were a total of 7 children in the family, I think, and the oldest few had gone to school for a while. Tara never did. They were allegedly homeschooled, but they really weren't. In fact, since they didn't have birth certificates, they legally didn't even exist. But none of this is the crazy part - what I kept being shocked by over and over was the carelessness with which these kids were all treated and the many accidents and injuries that resulted. Her father owned a junkyard and the kids were expected to help sort through piles of twisted metal. Tara was once injured when she felt from a bucket loader. She described some pretty hideous burnings and two major car accidents, in which nobody was wearing a seatbelt because for some reason they didn't believe in them. Her mother and one of her brothers suffered serious head injuries. Oh, and I didn't even mention the most important part of all this which is that they weren't allowed to go to doctors. Tara's mother just worked on them with her herbs and oils and prayers. Eventually Tara decided she wanted to go to school, and she managed to study for and pass the ACT and go to Brigham Young University and then on to Cambridge in England and, finally, Harvard. Through all of this she was battling against her family and trying to deal with her past. She couldn't escape it - during her first semester of college she dared ask out loud what the Holocaust was and her professor and classmates thought she was making a sick joke. But she wasn't - she had no idea. Another revelation was when she learned the truth about slavery. She knew it existed, but had been taught that slaves were freer and happier than their masters, who were burdened with the responsibility of caring for them. When she learned the truth, she was stunned. Over and over, she learned and experienced things that went against everything she had been taught when she was young and she struggled to make sense of it, constantly doubting herself and not knowing when to trust what she thought she knew. But she's obviously very smart, and she soaked in knowledge, synthesizing it with what she had previously learned to come to her own conclusions. Leaving home was not the end of the story though. She did return to visit her family, and things were just as strange as always. Another big part of the story is her relationship with her brother Shawn, a highly manipulative and violent person. Once Tara gained some confidence she talked with others in her family about his behavior and the danger he posed. They would agree with her, but then tell Shawn what she had said and they'd all turn on her. At times I feared for her safety although I knew she obviously survived to tell the tale, but I couldn't fathom why she kept going back to her family's home when it seemed so dangerous to do so. This story was totally gripping. I have mixed feelings about these kinds of memoirs because I'm very aware of the enjoyment we're getting out of someone else's pain. On the other hand, if you go through something like that, having your book about it become so popular is probably rather validating. Her family is still alive - these events were fairly recent - and of course they deny her claims. (Who wouldn't?) I've heard that her parents are suing her, which is also unsurprising and something she must have expected. I'm curious to see what else she might write - she has proven herself a pretty good storyteller. Despite the subtitle, this is not a love story. There is a love story in it, but it's not the focus - there is so much else here the subtitle is really underselling it. In 1927, nineteen-year-old Anne Hobbs left Oregon to teach in Alaska. She was lured by the promise of adventure, and she definitely got what she was looking for. The trip to the tiny village of Chicken was long and hard, and when she arrived she found her quarters bare. The other villagers donated a mattress and a stove, dishes and other supplies, and soon she had a cozy little place for herself. Her quarters shared a building with the schoolroom where she would be teaching a handful of children of various ages. Anne got settled in and started up the school and almost immediately found herself the subject of disapproval. 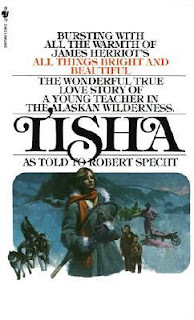 She befriended a "half-breed" named Fred Purdy, who had an Indian mother and white father, and Fred is her romantic interest. Their romance had a slow build, and people went to great lengths to keep them apart. Anne also let Indian children into her classroom, which meant other parents pulling their kids out. The people in this village really did not seem to like Indians and it was pretty weird, since they did somewhat live intermixed with each other and there were obviously some mixed-race families. Anne, whose beloved grandmother was an Indian, did not care at all whether someone was Indian or not and it got her into a lot of trouble. She was strong for such a young person who was new to the area, and she held her ground most of the time. She was very brave! Life here was not easy, but things improved when a teenager (I think? The story wasn't clear on people's ages) came to stay with her and help her out. Households were pretty bare-bones and it took a lot of work to do things like wash clothes or take a bath, and the extreme cold and harsh weather made things even more difficult. Things really heated up when the mother of two of Anne's students died, and their white father didn't want to take them. Anne decided she would take them, and she and Nancy did pretty well for while until Nancy's mother found out and sent for her to come back home. Everyone disapproved of Anne taking the kids, insisting they be sent to an Indian village nearby. They went to great lengths to make that happen, and Anne went to even greater lengths to prevent it. It was a very exciting story and when I got to this part I ended up reading late into the evening because I could not put it down. I always love a story about a woman moving to a new place and starting a life there. In this case she knows she's only staying for a year before being assigned to a more permanent teaching position in the town of Eagle, but it was still effective. She still had to get used to living in Alaska, get used to people in the town, figure out who her friends were. Because it's a book about prejudice, there's some pretty harsh language, including use of the n-word. These are a straight-talking people, and I was surprised the first time she met the Indian children she would adopt and they swore like adults. There were also some charming phrases I hadn't heard before, like when she talks about the local prejudice as "half-breed baloney people around here were always slicing" and said "That got my Irish up." I should also mention that the title comes from the way the Indian children mispronounced the word "teacher." When I began reading, I was surprised that her name was Anne and not Tisha, and it took me a while to figure out why that was the book's title. I heard about this book a few years ago from our teen librarian at work. I think she had just learned about it at a conference or workshop and read it right away and loved it. I came across it recently and was reminded that I wanted to read it. It appeals to me in a similar way as Caroline, which I had just finished. I've read so few books about women forging lives in recently-settled places and would be interested in finding more, so please let me know if you have suggestions! As you may know, I'm fairly obsessed with Laura Ingalls Wilder. I've read the Little House books over and over, and a couple of years ago I read Pioneer Girl, Laura Ingalls Wilder's annotated autobiography. As much as I enjoy the Little House books, I know they're fiction and children's books and I want to know more about that family and their experiences. I have two related books on my TBR Pile Challenge this year. One is a biography of Wilder called Prairie Fires, and one is this fictional work told from the view of Ma, Caroline Ingalls. This challenge is made up of a list of books I've been putting off, so it may seem strange that I keep putting off books on a subject I claim to be obsessed with. Prairie Fires is very long, and I always delay long books. With Caroline, I was just concerned that it wouldn't live up to what I wanted it to be, especially since I didn't hear much from the reviews and the Goodreads rating is fairly low. I needn't have worried: it was everything I wanted it to be. The story begins in Pepin, Wisconsin or what I have come to think of as "the Big Woods." Caroline is pregnant, and the family is about to set off on a long journey to Kansas, where they will stake a claim in what as known as Indian Territory. It's a hard journey, fraught with danger, and there were a few times the family was lucky to escape with their lives. When they finally arrive, they need to build the house they will live in, plant some crops, and do all the many things needed to start their new lives. All this while Caroline battles nausea and grows more physically cumbersome as her pregnancy advances. And always the dread that her female relatives who helped deliver Mary and Laura are in Wisconsin and she will have to have the baby alone. From the very beginning, I was completely immersed in this story. I read most of it in two days over a long weekend, finishing the last bit on the third day immediately after work. Miller's writing is richly detailed, bringing this story to life in a way the children's versions couldn't. Oh, I had always imagined the details in my mind, but this novel painted a rich portrait that filled in the gaps in my imagination. It also made Caroline into a fully realized person for the first time - in the Little House books Ma was always capable and resourceful, but I loved seeing the inner life that Miller has imagined for her. Her fears about their journey and their new life and the impending birth of their daughter Carrie, and how she always portrayed on a strong demeanor despite her fears so as not to worry the girls. Her feelings about her husband and the girls. In Little House, Laura always felt she was never as good as Mary, but in this book Caroline takes notice of the way in which Mary shows off how virtuous she is as though she's being good not for the sake of being good, but so she will gain approval from the adults. I loved that. One of the themes of the Little House books is independence, and the stories are carefully crafted to show the family taking care of themselves without help from anyone else, which is factually inaccurate. (They got help from the government, friends, and family pretty regularly. Everyone did - nobody could survive frontier conditions alone.) But the details of this book reveal just how strong and capable Caroline and Charles had to be to get through the obstacles that faced them every day. Making a meal while traveling in a covered wagon was a huge pain and they were all so tired from their journey, but you have to eat. And the time they were caught in a horrible rainstorm, and Charles had to go out in it to build a makeshift lean-to along the side of the wagon for the horses, and then came in soaking wet without a fire to hang his clothes in front of. Their lives were perpetually inconvenient and uncomfortable, even when they finally made it to Kansas, and for the first time I saw just how strong and capable these people were. You don't get that from children's books. This is not to say that I loved everything about Caroline and Charles. They were products of their time and sometimes their attitudes frustrated me. Caroline was deathly afraid of the Indians and just wanted them to be gone, complaining that they were all over the place. I wanted to yell at her "This is their land and you're stealing it!" and ask what she thought it would be like, moving to a place that was literally called "Indian Territory." The way she viewed these people who were being pushed off their own land, visibly hungry, was awful. But I'm glad Miller left it in there, because I don't like to pretend that people were different than they actually were. I'm totally fine with creating fiction in which people have what we think of as "progressive" views, but this is fiction about a real person who existed and who felt this way and I'm glad in this instance she remained true to her character, even though I was annoyed at her ignorance. Although this book was written for adults, it retained the feelings of positivity I remember from the Little House books. Despite their hardships, Caroline and Charles did everything they could to cast a positive light on their lives and appreciate what they had. In this way, it feels like a wonderful compliment to the books I've loved my whole life, adding more to the story that I've always wanted more of. "Always, the scale of Charles's work dwarfed her own. In the time it took him to build a wall or plant an acre, she might knit a sock or churn a pound of butter. One task was no less vital than the other; he could not build or plant barefoot and hungry. Charles knew that as well as she did and never failed to thank her for a new shirt or a good meal. But to have a hand in fashioning something that would not be consumed, worn out, outgrown--something as grand as a house? To be able to lean against that solid wall for years to come and know that she had helped put it there? Caroline thrilled at the thought." "Again and again she watched the thin silver stream of liquid lead flow into the bullet mold, then pop out a moment later, hard and shining. If only she could do just that--pour all her scalding thoughts into a tight, smooth ball capable of piercing the very thing she was most frightened of." I found everything about this book captivating, and I desperately want it to be series. If I could read about all the adventures and journeys of this family through Sarah Miller's vivid storytelling, well. But as Caroline would say, I should be grateful for what I have, and I'm very grateful for this book. 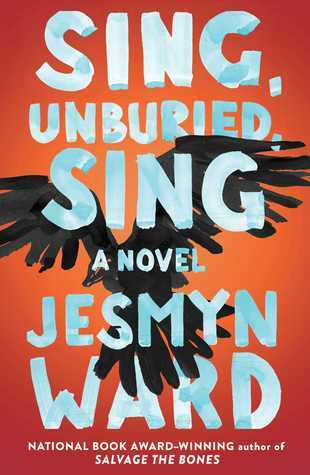 The story begins in the early 1900s when Bertha Truitt is found unconscious in a cemetery in a town where nobody knows her. She won't tell anyone about her past, saying only "I'm here now." She stays in the town- the fictional town of Salford, Massachusetts- and opens a candlepin bowling alley. As if her mysterious origins weren't scandalous enough, she also marries the doctor who first attended her, a black man named Leviticus Sprague. They build an octagonal house, have a kid, and the story continues long after their deaths, but stays focused on the bowling alley and those who continue to run it. Filled with secrets, lies, longings, and lives of dissatisfaction, this story is just as quirky as you'd expect from Elizabeth McCracken. 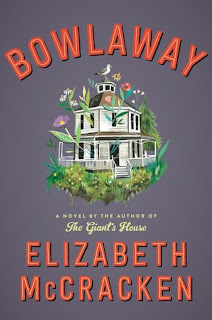 For someone who's been living in Texas for a long time now, it's clear that she'll never get New England out of her system and Bowlaway is filled with elements specific to the region, from candlepin bowling itself to the Great Molasses Flood. She also skirts the paranormal with a little spontaneous human combustion and a mysterious creature known locally as the Salford Devil. 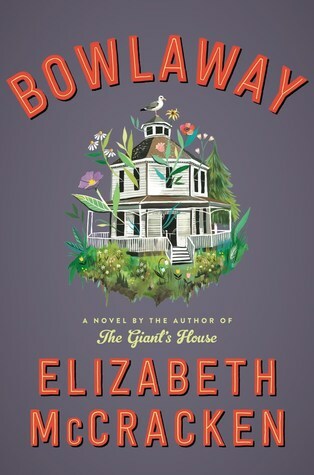 Had this come from a different author, I would have been turned off by a book about bowling and never picked it up, but I will always and forever read everything that Elizabeth McCracken writes. As it turns out, it's only kind of about bowling, but mostly about all the people who are bowling and running the bowling alley. It wasn't terribly long and covered an extensive timespan, yet somehow I still felt like I got a good feel for all the characters, which is the most important part of any book for me. Spanning about 80 years, we see a number of characters die during the story, many before their time, so it was actually pretty sad if you think about it. But tempered with McCracken's trademark humor and wit, it didn't feel nearly as depressing as it could have had it been written by someone else. 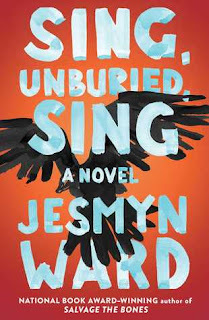 This is only her third novel, after The Giant's House (1996) and Niagara Falls All Over Again (2001) but she has also written short stories and a memoir and excels in all of those forms. Honestly, she's one of those authors who could write literally anything and I'd read it and probably love it. Clay Jennings is a former tech worker looking for a job, and stumbles across an unusual bookstore that seems to be hiring. It's open 24 hours a day and he has the overnight 10-6 shift. 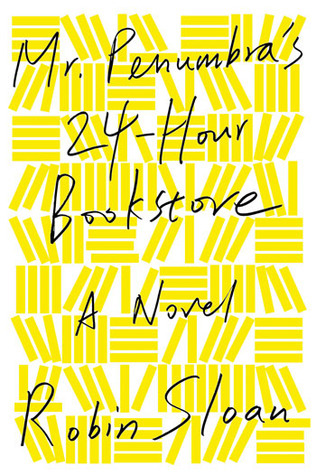 Business is slow, but Clay soon learns that the primary business here isn't selling books, it's lending them out from a part of the store he thinks of as the Waybacklist. It's a tall skinny room with very tall ladders and it comes with a particular clientele. Although the owner, Mr. Penumbra, makes Clay promise not to look at the books, eventually he does and that is where the real mystery begins. The story turns into something very different than one about a cozy mysterious bookstore and its eccentric mysterious owner. There's a real mystery here, with codes and secret societies, and it's kind of a fun adventure. Clay has a rich, successful friend Neel who he bonded with in sixth grade over a fantasy series they both loved, and that series and its author figured into the story as well. But this wasn't about the love of books and bookstores and that's where the disappointed lay for me. Technology enters into it a bit, and things went in a direction that that did not give me the happy bookstore feels I was looking for. It's not Robin Sloan's fault that it wasn't the book I wanted it to be, and I still enjoyed reading it, but I liked his other book, Sourdough, quite a bit more. Still, he's a talented author and gifted storyteller and I'll likely read whatever novel he publishes next. 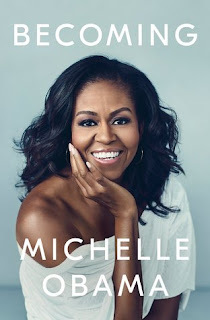 Former First Lady Michelle Obama's memoir is currently the most requested book in my library system. It seems like everyone is reading it. I was considering it and kept waffling on whether or not I wanted to read it, but then a friend mentioned how much she was enjoying the audiobook so I decided to try that version. Obama begins with her childhood, describing her family and her life growing up on the South Side of Chicago, before moving on to college, law school, and her early career. It was then that she met Barack Obama, at the time a law student who came to work at her firm as an intern. It didn't take long for them to begin a relationship. She takes us through major changes in her life, from getting married and having children to becoming First Lady of the United States, and straight through until they left the White House. Reading about her family and early career was interesting, but what I found most fascinating was how she fit her life around Barack being President. For one thing, she had to give up her job. Her career had taken some turns anyway, but she was really going from one great job opportunity to another. At one point she talked about the huge pay cut she had to take to leave the law firm she was working for to go to another job that she thought would be more fulfilling. She said her salary was going from 120k to 60k. (That was in the 90s, when I was making around 24k. These numbers were kind of staggering to me.) At any rate, this is an ambitious successful woman who at one point had to choose to give it up for a life she definitely didn't expect. Life in the White House was a tightly-controlled situation, and nobody in the family could really live a normal life. She mentions how she liked to sometimes drink her tea out on the balcony on a nice day, but it meant the crowds had to be cleared from that whole side of the house, and she didn't want to do that to tourists who came all the way to D.C. to see the White House. A few months after they moved on, Michelle and Barack decided to spend some time together and made a trip to NY for dinner and a show. They got to the restaurant and everyone who arrived after them had to go through security, and then the show they went to see started 40 minutes late because of all the extra security precautions that had to be taken. It felt like a huge nuisance and the media criticized them for the cost, so they didn't do that again. But really, they just wanted to spend some time together outside of the White House! She said that it was so difficult to go outside of the family quarters in the White House that they weren't even walking very much and they both started spending a ton of time in their gym to make up for it. Things were difficult for the kids too. Malia had to attend her prom with the secret service in tow, and when it was time to visit colleges Michelle wasn't able to go with her because having the whole First Lady motorcade there was such a huge inconvenience for everybody. Michelle ended up sending her assistant instead. And one time the girls just wanted to go out for ice cream with some friends, but they couldn't because it was impossible to arrange spur-of-the-moment plans to go out. It was a bummer to hear how many normal things they couldn't do because of all the security requirements. Michelle says that Barack was treated like some sort of precious gem. She understood why, of course, but said it felt like a throwback to a time when households revolved around the man, which was the opposite of what she was trying to teach her daughters. That was such an interesting perspective that I hadn't thought of, but of course Sasha and Malia were so young when they moved to the White House that probably a lot of the weird things about their lives seemed normal. There were so many interesting little stories throughout the book. For instance, when Barack first won the presidency, the Bush family made a huge effort to make the transition as seamless as possible. They made sure there were binders of information regarding the household, including social calendars and that sort of thing, and apparently went beyond what was usually done for these transitions. They were also very gracious hosts when the Obamas first visited. The Bush daughters gave Sasha and Malia their own tour, showing them the fun parts of the White House. It was really very touching. Also, did you know that the President's family gets billed for food, toilet paper, and expenses from when they have guests visit? I had no idea. I really had very little knowledge of how things worked behind the scenes at the White House so it was pretty eye-opening in that way. The audiobook was 19 hours long (!) which concerned me because I generally stick to books that are around 8-9 hours if I can help it. The only other audiobooks I've listened to that were so long were in the Harry Potter series. But it wasn't a slog to get through, as I had feared. It was an interesting story that was very well narrated by Michelle Obama, who could probably do this as a career if she wanted to. (I've also listened to Barack narrate his own memoir and as much as I hate to say anything negative about him, it's a good thing he had another career to fall back on.) All in all I'm glad I read this and, more than anything, it made me really miss the Obamas. They were a pretty cool First Family!